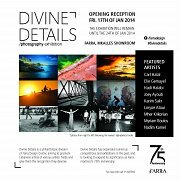 As part of its philanthropic division Divine Details, Farra Design Center will be hosting its first ever photography exhibition on its main floor showroom. The event will feature talented young photographers from the likes of Beirut Street Photographers, Humans of Lebanon, and Beirut Night Life displaying their works of art. The exhibition, which will be kicked off with a cocktail event, will run from the 17th of January to the 24th. . Guests will be able to view the art pieces, purchase their favorites, and mingle with the photographers themselves. The goal of the event is to provide exposure, space, and an opportunity for young Lebanese artists, and give them the recognition they so thoroughly deserve. Divine Details is a philanthropic division of Farra Design Center aiming to promote young Lebanese artists of various artistic fields. 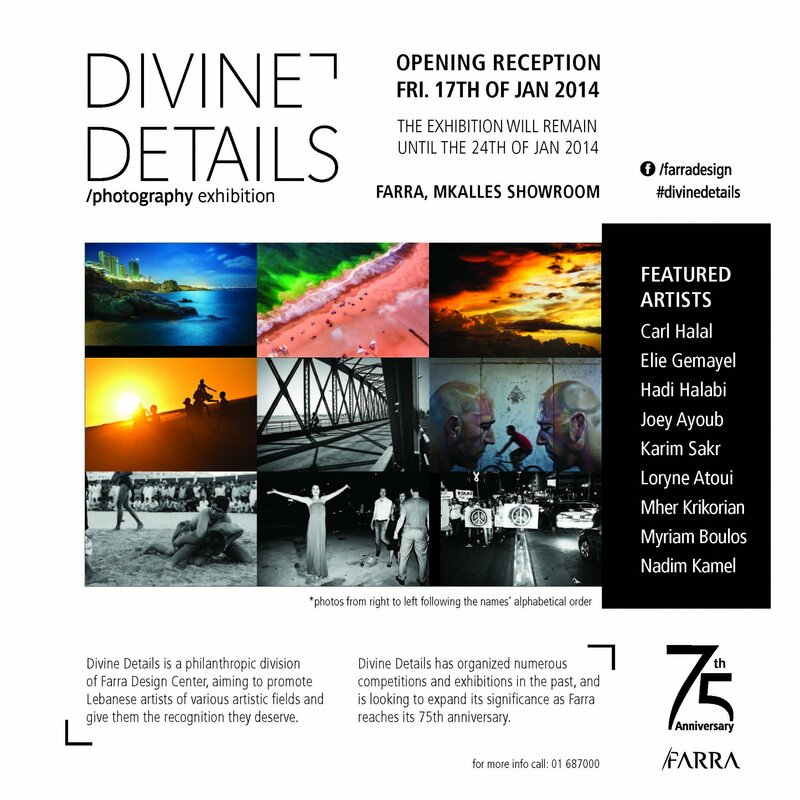 Divine Details has organized numerous exhibitions and competitions in the past, and seeks to expand its importance as Farra reaches its 75th Anniversary.